The brightness of the multi-display can be adjusted to four levels. 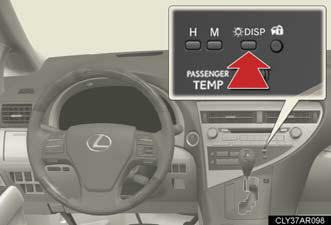 Press and release the “DISP” button until the brightness of the display is adjusted to the desired level. reduced in accordance with the brightness of the instrument panel.